Are you sick of Country music that sounds like that slick 1980s pop-rock genre called “New Country?” Are you ready for some Old Country? The kind where pedal steel wails, voices keen, and fiddles fly during the breakouts? Check out the latest EP from the angelic Nora Jane Struthers, who might just have the most gorgeous voice since Lori McKenna broke through. 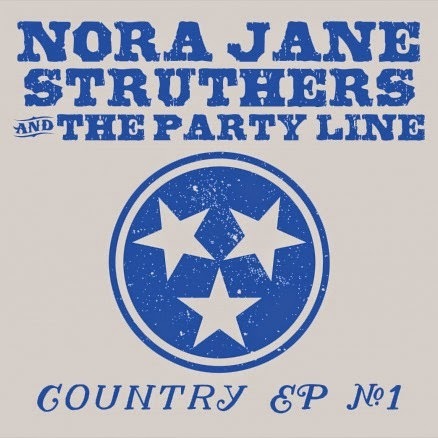 Country Pack is a sampler from her 2013 release Carnival with a few other tracks thrown in; including her killer cover of “Till I Kissed You,” an Everly Brothers classic. It’s typical of Struthers’ approach­--a vintage piece or rockabilly, complete with strong walking bass lines from Brian Duncan and gorgeous close harmony singing with Joe Overton. The latter also plays banjo, as we hear on "Party Line," the song for which the band is named. Overton also hews more to tradition than to innovation. Not that there’s anything wrong with Bela Fleck-like artistic improv, but if you want to induce the feeling of coal dust Appalachia, Overton’s is the better musical frame. Check this track on YouTube. Remember Gallagher? The long-haired guy who dressed like a cross between a mime and an audition for "Where's Waldo?" The dude who used to smash watermelons with a sledgehammer? Gallagher was ubiquitous in the 1980s and early 1990s, including on Showtime and Comedy Central. Then his star faded when he his act took turns some deemed racist, homophobic, and nationalistic. For the record, some of his jokes could be viewed as sexist, crude, irreligious, and mean to people with disabilities. Gallagher might be the Southern rightwing-redneck-cracker his critics make him out to be for all I know, but I've never felt that that Political Correctness had any place in comedy. Let's face it, if nobody is insulted–even if a joke is self-deprecating–there is no comedy. If your nose goes easily out of joint, stay out of comedy clubs. Tell me that Richard Pryor wasn't also racist. Did you ever hear the recently departed Joan Rivers light into a person who heckled her for being insensitive? Comedians are supposed to make us uncomfortable. The real question is whether or not the shtick is funny. Funny or not? The jury has always been out on Leo Gallagher, 68, and now we're going to have some time to assess him. 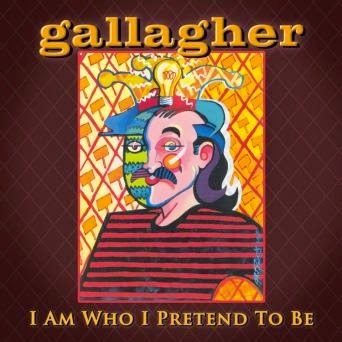 I Am Who I Pretend to Be looks like to be Gallagher's swan song. It's a May 2014 live performance recorded at Sacramento's Ice House Comedy Club. He has subsequently suffered his third heart attack and has announced that his health won't allow him to tour any more. His latest (last?) album is a mishmash of new routines, selected classic jokes, musings on life's absurdities, and some poking around in the audience in search of cheap laughs. That is to say, it's similar to what he's been doing for decades. One also suspects that the title is also a backhanded slap at his brother Ron, who appropriated a lot of older brother's act. Gallagher's shtick can best be described as uneven. Like a lot of comics, he is at his best when he takes logic and stretches it to its social extremes. Why, he ponders, do new socks come with little plastic hangers when no one hangs up their socks? If there is extraterrestrial life, why haven't they contacted us? Gallagher suggests it's because "they can smell stupid" and fly right on by. Don't get him started on sporks, the presence of French in the English language, or people who refuse to look at evidence. Other bits are simply dated. There are gems hiding amidst dross in his observations of the battle of the sexes, the dross mostly being social views about 30m years out of date. He has a routine about using handicapped bathrooms that isn't as offensive as it is sophomoric. Throughout the concert he plays the crank, sometimes with hilarious results and sometimes in the ways that make you want to leave him to wallow in his own irritability. Gallagher was reportedly very upset when Comedy Central rated him just the 100th greatest stand-up comic of all-time. On all such lists there are weird choices. Does anyone find Bobcat Goldthwait (#61) Bernie Mac (#72), or Andrew Dice Clay (#95) funny? But let's be honest– Leo Gallagher was always a second-tier guy, as the recent deaths of Rivers and Robin Williams so poignantly remind us. I don't think it was Gallagher's bad boy antics that pushed him down the ranks so much as the fact that his initial rise was a zeitgeist thing. Smashing things appealed to a generation that used to say, "tear down the walls" and mean it. His anarchic high-octane energy resonated with Baby Boomers when they were still in their 30s and 40s. When Gallagher's energy flagged, the zeitgeist shifted, and running across the stage yielded to stand-up, some people were offended by what they heard and others simply grew tired of same old/same old.